On the beautiful Sunshine Coast of QLD, AIS Greenworks have been working hard in the late part of 2014 and early months of 2015 on the Nora Valley Developments (NVD) newest Greenhouse. In the beautiful setting of Yandina, stands tall the newest edition to their facility. 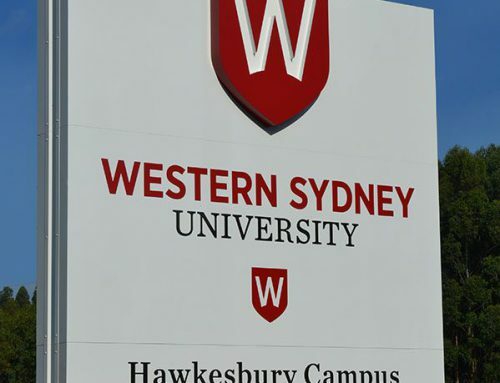 This new addition has allowed them to double their production capacity. The Nora Valley project was completed last month and the team at NVD have since commenced the first phase of their initial crop. AIS Greenworks have been involved from the initial stages of design and consultation with NVD, and project managed and installed the project from there. 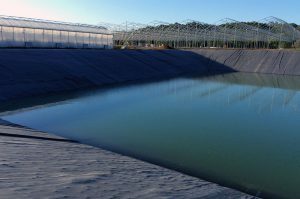 Water for the 2.3ha greenhouse is sourced from a local river plus the new and existing dam, all the drain water from the crop is recycled. The dam is lined with 6,400m2 of Firestone EPDM by AIS Greenworks, which is 3m at its deepest and is 80m long on each side. The water from the river needs to be treated for colloidal clay and iron, which Greenworks has designed solutions for the systems to handle all the associated problems and complexities here. A UV system is used to kill any pathogens within the system. Drain water and fresh water is blended to be made available for the irrigation. 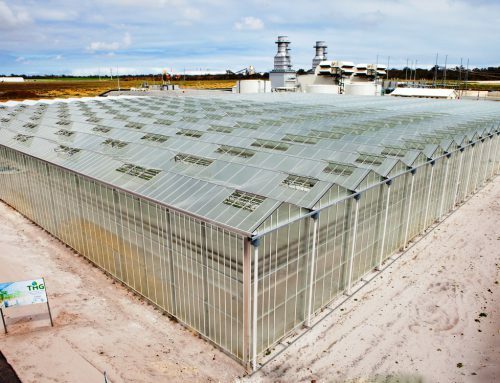 Irrigation comes via a mixing tank system which is controlled on light accumulation via the climate control system with the design giving uniformity across the greenhouse. All rainwater is captured and sent to the lined dams. An AIS Greenworks high pressure fogging system has been employed to assist with cooling and humidification (yes this is needed even in this climate) the pumping system delivers around 14,400 litre per hour. AIS Greenworks designed a liquid C02 system to deliver additional C02 to the crop to assist in increasing photosynthesis. 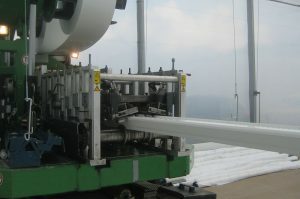 HAF fans are employed to circulate the air within the greenhouse. 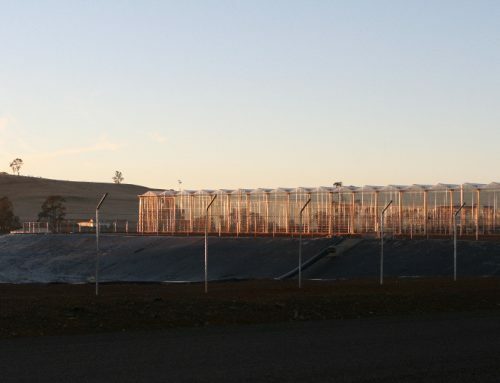 The greenhouse has a twin vent system at the ridge of the greenhouse. A shade/thermal screen was installed by Greenworks to help keep heating costs down and reduce heat on extreme days. The hanging gutter system are the new GM-14 profile by Meteor Systems, this will aid in reducing fruit drop and fruit blocking the drains. NVD use Grodan growing medium. This project was made available for a farm tour on the PCA Conference Tour in 2015. For more information on the Nora Valley Developments project and others, contact Scott Featherston.